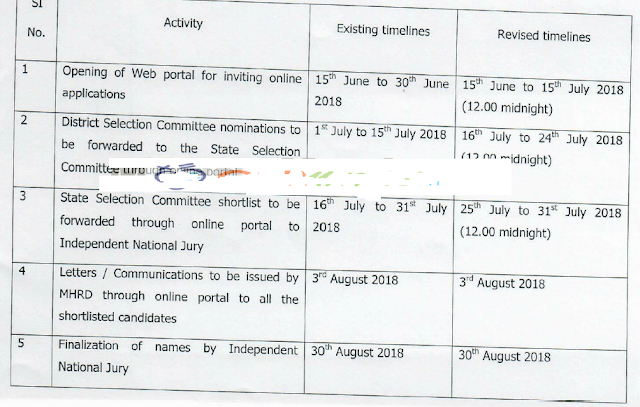 National Level Teachers Awards Online Application Scheduled Revised Process Dates Scheduled/AP SE NC- National Award to Teachers, 2017- Communication of Login credentials to District Collectors and District Educational Officers in the State-Regarding as per MC 2018 Dated:28.06.2018/AP National Teachers Awards 2017-18 Online Application Revised Scheduled. Government of India, Ninistry of Human Resource Development Department of School Education and Literacy, Shastri Bhavan, New Delhi, dt: 15.06.2018. Procgs. Rc.No.01/MC/2018, Dt:20.06.2018, of this office. No.F.1-4/2017-NAT, Government of India, Ministry of Human Resource Development Depanment of School Education and Literacy, Shastri Bhavan, New Delhi, dt: 22.06.2018. 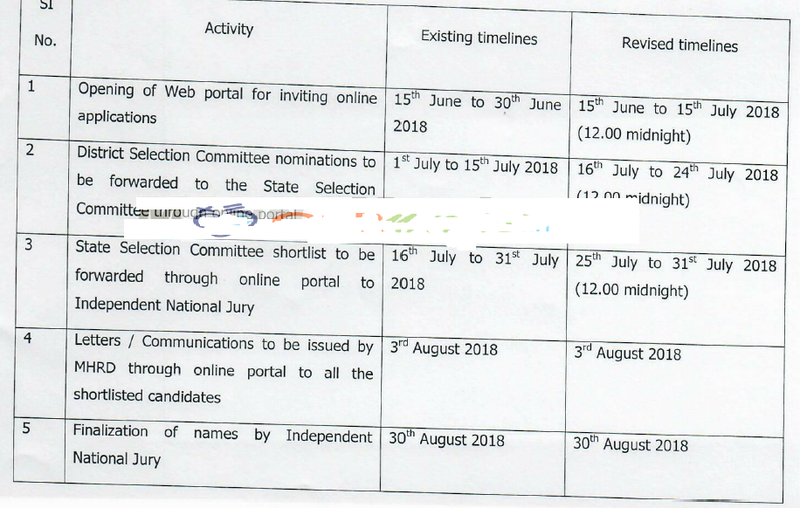 While enclosing a copy of reference 6'h cited all the Regional Joint Directors of School Education and District EduCational Ofi"icers in the state are informed that NnRD, GOI have communicate d the revised time lines for application of National Awa dr to teacher through online. The revised time lines are mentioned below. You requested to disseminate thus informatio to a I concernerl take appropriate action.